Twitter is a lot of things to a lot of people. For some, it’s a news aggregator. For others, a joke-writing platform. Others see it as a way to build communities, or as a method of checking whether the President Of The United States has declared any nuclear wars in the last few minutes. Twitter is first and foremost a company, though, and one that’s come under fire over the last few days (and long before that, too) for the apparently inconsistent ways it applies its harassment and safety policies. 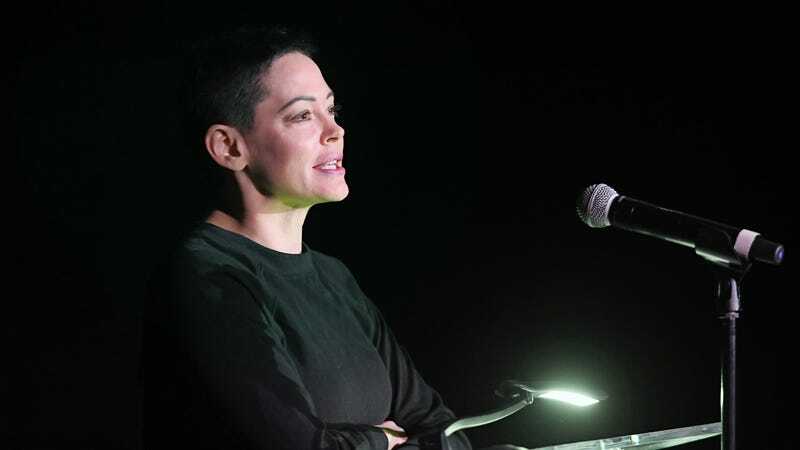 That discontent came to a head last night, when Rose McGowan—who’s been one of the loudest voices in the chorus of people going after not just Harvey Weinstein for his decades of alleged sexual harassment and assault, but also those who abetted or turned a blind eye to his actions—was temporarily suspended from the service, apparently because she tweeted out a private phone number. Unhappy with that decision—and citing numerous incidents where Twitter was far less quick to react when the behavior in question was targeted at women, rather than powerful men—a movement has sprung up around the hashtag #WomenBoycottTwitter today, encouraging women, and those who consider themselves allies, to avoid the platform for all of tomorrow, Friday the 13th of October. The campaign kicks off at midnight.